According to upsidedownworld.org, last week a Mexican official told the news site Al Jazeera that the United States’ Central Intelligence Agency does not do their job in assisting Mexico in their Drug War. 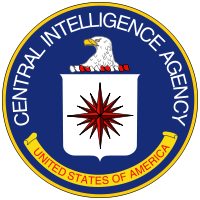 The spokesman, who works for the Chihuahua state government argued that instead, the CIA actually manages the war. While many criticize the way the CIA has handled the situation to this point, Upside Down World states that “an official spokesman for the authorities in one of Mexico’s most violent states – one which directly borders Texas – going on the record with such accusations is unique.” Said the spokesman of the way the CIA has handled the situation, “It’s like pest control companies, they only control. If you finish off the pests, you are out of a job. If they finish the drug business, they finish their jobs.” This accusation has been met with some backlash, however, as Hector Murguia, the current mayor of Juárez, has insisted that the US is on Mexico’s side. In addition, as Upside Down World reports, “the US Congress has approved more than $1.4bn in drug war aid for Mexico, providing attack helicopters, weapons and training for police and judges.” While it is unfair to write off an opinion is uninformed or invalid, perhaps the Chihuahua spokesman’s skepticism is representative of a more general frustration with the lack of resolution and constant violence that surround the country’s ongoing Drug War.